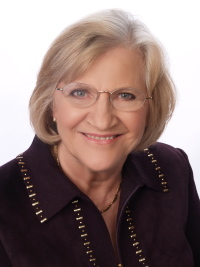 "Thelma Box is the creator and founder of Choices Seminars. She is a successful Texas businesswoman. Years spent in successful real estate, hotel and insurance businesses left her wondering why employees and friends practiced behaviors that were self-defeating. Many times, she witnessed her business acquaintances and friends having financial successes yet they walked through lives as walking breathing dead. Thelma Box has a dream for people to use the tools she practiced in business to assist people in living their lives with clarity and passion. Thirty-five years ago Choices began as a dream and is still a reality. Participants leave Choices with a commitment to lives filled with joy, passion, peace and abundance. With a group of dedicated facilitators and volunteers, Choices lives with the commitment to transform lives ----One Heart At a Time." In 1983, Thelma Box, Dr. Phil (McGraw) and Joe McGraw started seminars so that people could live their lives at 100%. After conducting the seminars together for ten years, Thelma Box left the partnership and formed Choices. Expansion into Vancouver, Calgary, Dallas and Teen Seminars, Relationship Seminars, Single Seminars quickly followed to bring healing and to change the world one heart at a time. Living lives that create the opportunity for people to learn that life can be more of what they want is the goal of Mary and Joe Davis. Mary has been actively involved in Choices since its inception nearly 35 years ago and has facilitated all Choices programs for over 24 years. Joe has facilitated for 24 years after completing a successful 33-year career as a Certified Public Accountant and Chief Financial Officer. Their involvement in living and teaching Choices tools has spanned 35 years. Their three children and 3 grandchildren were all raised using the principles of the Choices program. All three of their children's spouses have also attended the program. More joy, more laughter and more satisfaction with your life is possible and Mary and Joe witness this as a truth each and every Choices training. 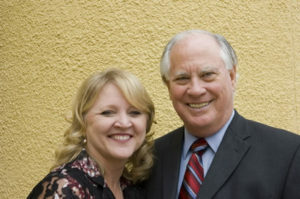 In 2005, Mary and Joe developed Super Givers. It has been described by some as the "cherry on top" of the Choices seminars. Seminars led by these two are assured to be filled with laughter and knowledge. Whether it involves working with the volunteers of Choices or facilitating a Choices seminar, each person is important and special to Mary and Joe. Copyright © Choices. All rights reserved.